We have a live video of new band The Young Veins performing 'Change' live in Atlanta. 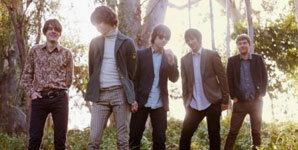 The Young Veins are led by Ryan Ross and Jon Walker of Las Vegas band Panic! at the Disco. Ross and Walker made their departure from Panic! moved their opperation to Los Angeles and formed what is now The Young Veins. The band's debut album Take a Vacation! was recorded at Castle Oak Studios and Sunset Sound in LA over the course of two short, mostly live, sessions. Take a Vacation! was produced by Alex Greenwald (Phantom Planet) and Rob Mathes (Panic! at the Disco, Carly Simon, Lou Reed) and the album features guest performances by Jason Boesel (Rilo Kiley), Danny and Michael Fujikawa (Chief) and Z Berg (The Like). Take a Vacation! reflects the previous writing of Ryan Ross dreamy Californian soundscapes and beautifuly crafted melody. 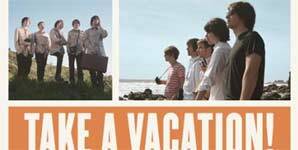 The Young Veins Debut album - 'Take a Vacation!' is set to be released in the UK 5th July, 2010.